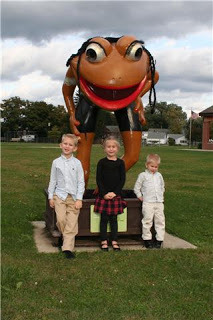 If you been through Erie, Pennsylvania, you may have noticed a big creepy frog along the side of the road. 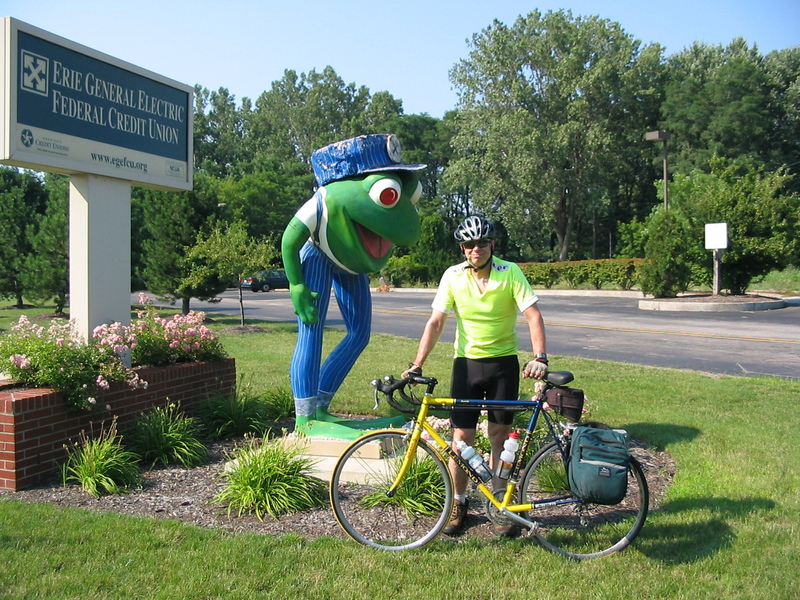 You may have noticed several big creepy frogs along the side of the road. 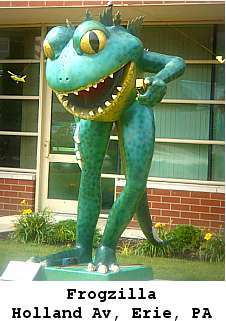 In fact, you may have noticed big creepy frogs everywhere. 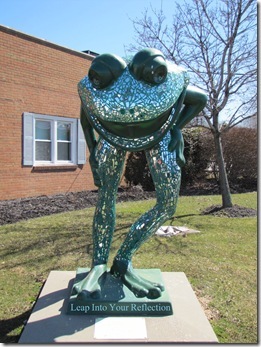 There are, in fact, about 100 eight feet tall frog sculptures littered about Erie and the surrounding area. 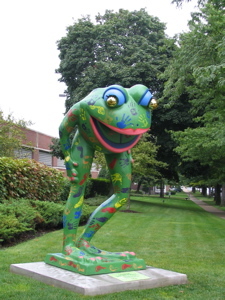 The frogs are part of the Lake Erie Art Project. The small one hasn’t stopped crying. 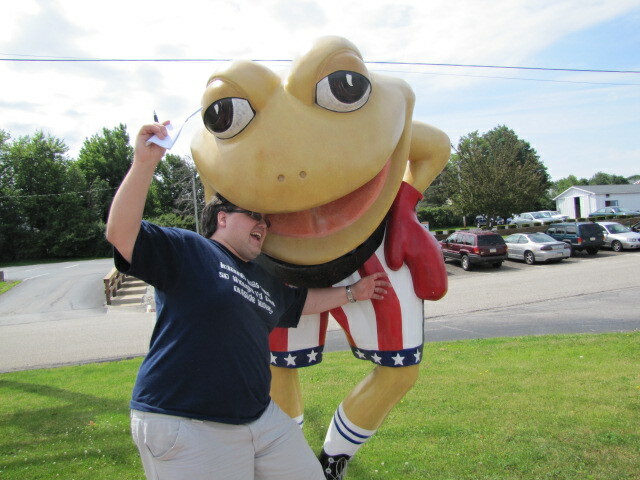 Another victim of the Erie frogs. Another poor soul who got a little bit too close.